"Inscrutable, inaccessible, indefinable. Even at the end. That’s what her mother had always been to her." 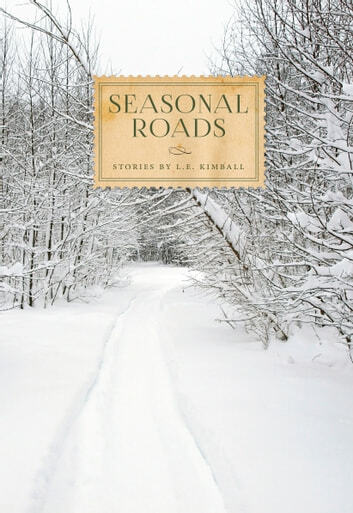 In Seasonal Roads, L. E. Kimball introduces Norna, Aissa, and Jane—mother, daughter, and granddaughter—who are as fierce and complex as the northern terrain they inhabit. Following a nonlinear timeline, Kimball’s stories unravel the beautiful mess of layers that is their lives and allow the narratives to roam freely in time, thus granting the reader keen insights into the past, present, and future. Spiraling through time and perspective, the stories converge at Norna’s two-room cabin in the woods, accessible only by "seasonal roads" that disappear under deep snow in the winter. The cabin is witness to Norna’s years of solitude spent hunting, foraging, fishing, and defending herself from intruders, Aissa’s escape from her divorce, and Jane’s stubborn vigil as a forest fire rages dangerously nearby. Through raw and ephemeral memories, we learn the darkest kept secrets of these women and the ties that bind them to each other and to the land. 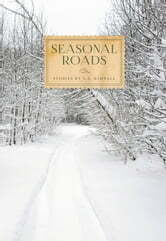 Kimball’s sensual descriptions of the Upper Peninsula, combined with her hauntingly vivid characters, paint an unforgettable picture in Seasonal Roads. Readers of fiction will enjoy the surprising turns of this collection. The Lucky Lizard: Short Stories, Games, Jokes, and More!